We are all just a little bit jealous we couldn't attend Jordan and Kevin's elopement in Washington this past Summer! 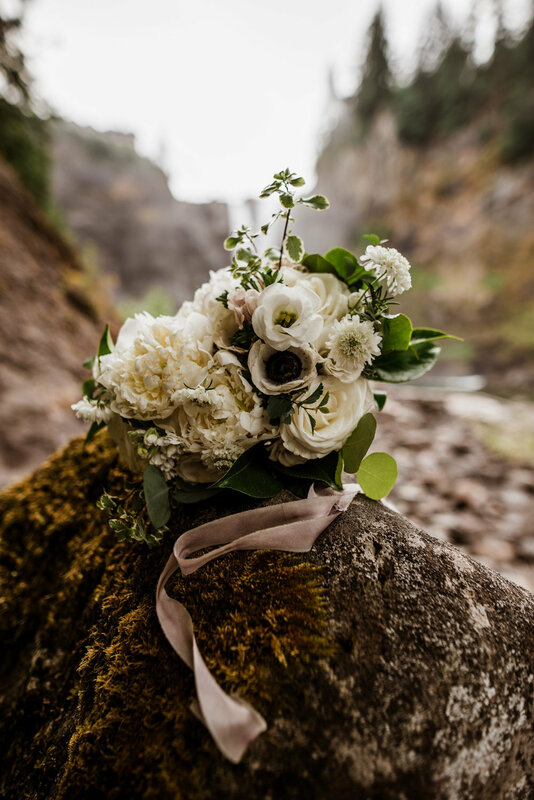 They were married on at the edge of Snoqualmie Falls east of Seattle, and it could not have been a more perfect backdrop for their special day. Our Brilliant Bride Jordan 'said YES to the dress' during our annual Black Friday Sale at our Denver shop. This lace + tulle, beaded Stella York was the perfect dress for an intimate, riverside elopement. Congrats to the happy couple; wishing you many years of love and happiness! And thank you to Taylor Mitchell Photography for sharing these gorgeous photos with us!